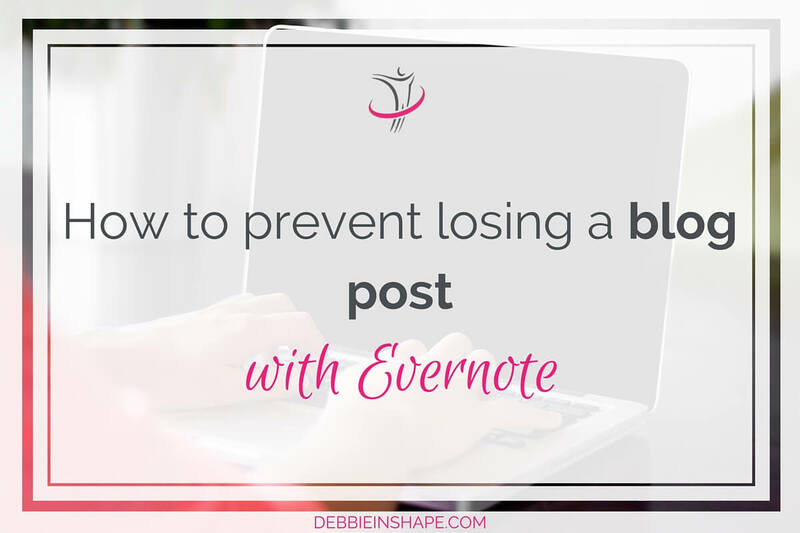 Save yourself some blogging headaches and learn how to prevent losing a post with Evernote. You will not regret it! Learning things the hard way happens to the best of us. No matter how careful and mindful we are, sometimes things simply go left instead of going right. I am sure that I am not alone here. I cannot tell you how heartbroken I was. I had lots of work piling up, and suddenly I realized more than one hour of it had been thrown away. I did not have time to get back at it and write it all over again. I had important assignments to fulfill. My personal blog had to wait. My search did not take long since I found out it was possible with Evernote. It is a feature of the Premium mode only. If you work with texts like I do, I would highly recommend the investment anyways. Depending on how you organize your notebooks, you may consider creating one only for your blog. 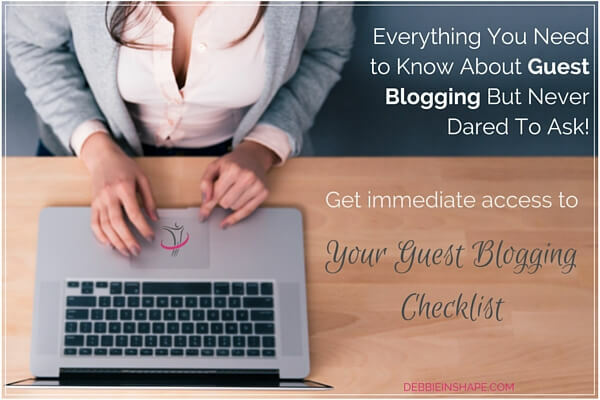 I have one for blog posts of Debbie in Shape and separate ones for my freelance work. You can check more about my blogging structure on Evernote here. Using consistent tags help you search and find your content quickly. You can add various tags depending on the category and topic of the post, for example. If your post is based on material previously collected, you may want to use a tag in common to help your research. It’ll create a sort of link before your content and the material curated. There is no right or wrong way here. I have even heard of people who do not even use any tags at all. I prefer to follow Michael Hyatt’s advice and stick to them (even though I do not use hierarchy yet). I have Evernote installed on various devices, including on both of my MacBooks. Still, I prefer to write posts using the online version. It is disturbance-free, and it helps with focus (alongside with my favorite White Noise playlist, of course). The only disadvantage that I find in the online version is that you cannot check the word count for it. If you want to stick to a certain amount, you can use the desktop version instead, or have a look at it while writing. The latter may seem cumbersome, but I like the design of the online version so much that I find it worth it. You can try both methods and see which one fits your needs best. After a while, t is true that you get a feeling about the length of your posts. In my case, though, there is no such a thing as a long post. On the other hand, the longer, the better (to read). But as I am not so sure my readers follow my philosophy, I do my best to stay away from the 2,000-word count as much as I can. If necessary, I even cut a post in 2 not to damage its content. On Evernote, if you need to add images or extra material, you can attach up to 10 files at a time. It can be handy if you already have the images you will be using in your post. In my case, I save the creation of images for last. Once I wrote the entire post and edited it, I have a better feeling about it. Then, I can visualize the whole and decide what kind of image I want to associate with it. Still, it happens that I am inspired by a particular image to write a post. It happens more frequently with my Life Quotes entries. In this case, I attach the image to my note to have the visuals of it. If you are working on a post that needs to be forwarded for review or approval, you can send it straight from Evernote. By connecting your Google account to it, you will be able to send the note to another Evernote user. You will decide whether the receiver will be able to read-only or edit the document. Imagine you broke a long post in 2 and you want to finish the second half on another day. Or you have posts in stock for days of less inspiration. How can you find them again after a while? With Evernote, you can set due dates to your notes. Even if you do not have a structure editorial calendar (yet), you can choose a day when you will have the chance to revise your extra content. I get notifications from Evernote on the date of the reminders. It is quite handy. Well, I guess that is what geeks are for, isn’t it? Being able to integrate Evernote with project management tools such as Trello is awesome. Yes, each and single post of mine is a project to me. It is something I research about and invest time in. I like to see it flowing on my timeline and progressing. Things would not be so (nerdy) fun without Evernote. I do not know whether you have ever lost a post (or a file from school or work). If yes, I am pretty sure you want to avoid it happening again. There are other methods. You can use such as Google Docs or even hitting the save button after every single word typed. The choice is yours, and it must fit your personal preferences. 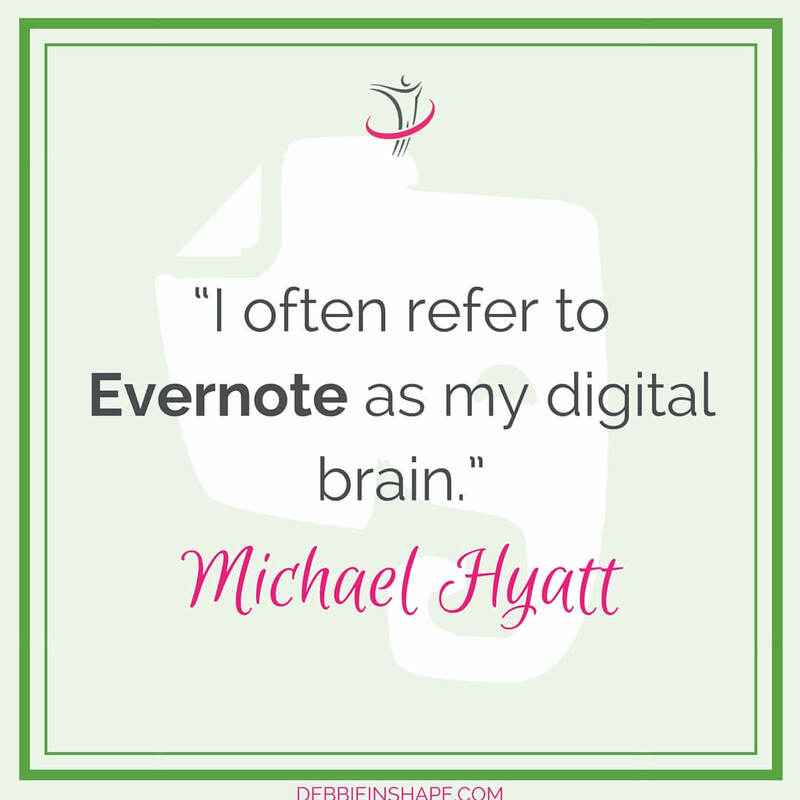 In my case, I love Evernote, and I cannot lie. If it has never happened to you before, consider yourself lucky and take my advice. Time is something precious. Once it is gone, it does not come back. We already have a lot of work to do if we want to blog the “right” way. 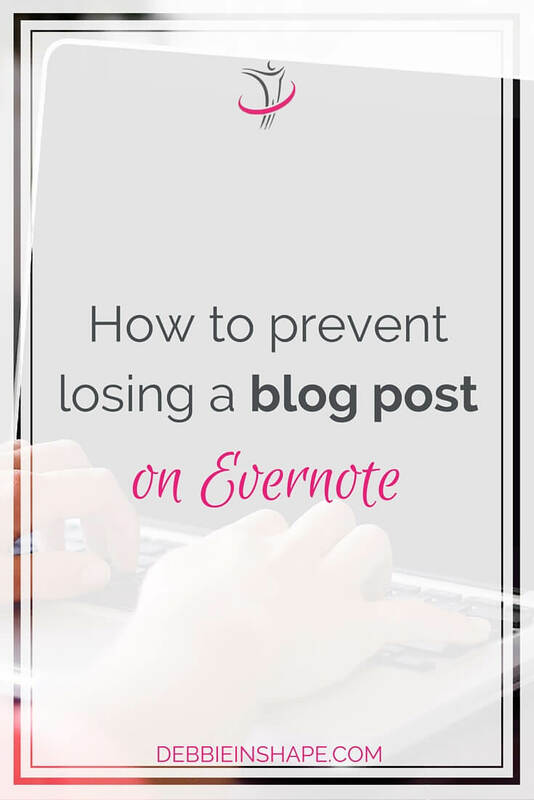 Save yourself some time and headache by preventing losing a blog post with Evernote. Have you ever thought about writing a blog post with Evernote? *I had this blog post planned weeks in advance. In the meantime, I was working on another article when one of my MacBooks crashed on me. It came back to life after some reboots, but I was shocked anyways. Lucky me my writing had been done on Evernote. So happy I am!